Did Zachary Taylor meet our cousin at the White House? My aunt Hoolie (Adeline Pannill Aycock, 1908-2000, whose oldest sister gave her the nickname Hooliwag) told the story of a young cousin who had gone to a ball at the White House during the presidency of Zachary Taylor. The young woman had worn a white dress and had had her ears pierced. When she came down the steps, President Taylor greeted her by grabbing both her ears. She bled on her white dress. Her evening was ruined. I always thought, This story is a hundred years old. How could Hoolie know? But President Taylor did have some connection with the Pannill family in the 19th century. Zachary Taylor was the 12th President, born in Orange County, Virginia – where Pannill descendants have lived since the 17th century. President Taylor was born in 1784. He died in office on July 9, 1850. President Taylor’s grandmother Sarah Bayly (or Bailey) married William Pannill III in Orange County, Virginia in 1738. They begat several sons and one daughter. But Mr. Pannill died in 1750, and Sarah took William Strother as her second husband. The Strothers also had several children. Sarah named the elder of her two daughters Sarah Pannill Bayley Strother. She was born in 1760. Why did the Strothers give Sarah the middle name Pannill if she was not a child of William Pannill? Perhaps because Sarah had Pannill half-brothers and a half-sister. A better genealogist than me will have to explain that. their fourth child. And Sarah Strother Taylor also passed the name on: Richard and Sarah Taylor named their youngest son Joseph Pannill Taylor, born in 1796. A career soldier, Joseph rose to become a Union general (gasp) during the Civil War. President Zachary Taylor married his wife, Margaret Mackall Smith, in 1810. And this couple named one of their four daughters Olivia Pannill Taylor. She died in childhood (1816-1820). It is curious that the Strothers and Taylors passed the name Pannill down through three generations when they were not blood kin. But perhaps Hoolie’s tale of the ball at the White House was true. 5 Responses to Did Zachary Taylor meet our cousin at the White House? This Fitz Pannill was indeed my brother (1942-2012). He died February 27, 2012, at 69. But he was my younger brother, he lived in Stephenville, Erath County, Texas, and he was his father’s namesake — Fitzhugh Hastings Pannill, Jr. F. H. Pannill, Sr., was named “Fitzhugh” in honor of Fitzhugh Carter Pannill (“Uncle Fitz”)(1886-1951), my grandfather’s brother and great friend. He was named “Hastings” for my grandfather’s brother-in-law William Hastings, who married Will’s sister Margaret Pannill (“Aunt Maggie”). There is another line of Fitzs. Uncle Fitz was himself named for a forebear named Fitzhugh Carter Pannill who died in infancy (1870-71). Uncle Fitz and his wife, Lelia Torrey Pannill, had one son, Fitzhugh Carter Pannill, Jr., a beloved physician who died this year at the age of 90 (July 4, 1921-June 30, 2012). Fitzhugh Carter Pannill III is a physician in New Haven, Conn. 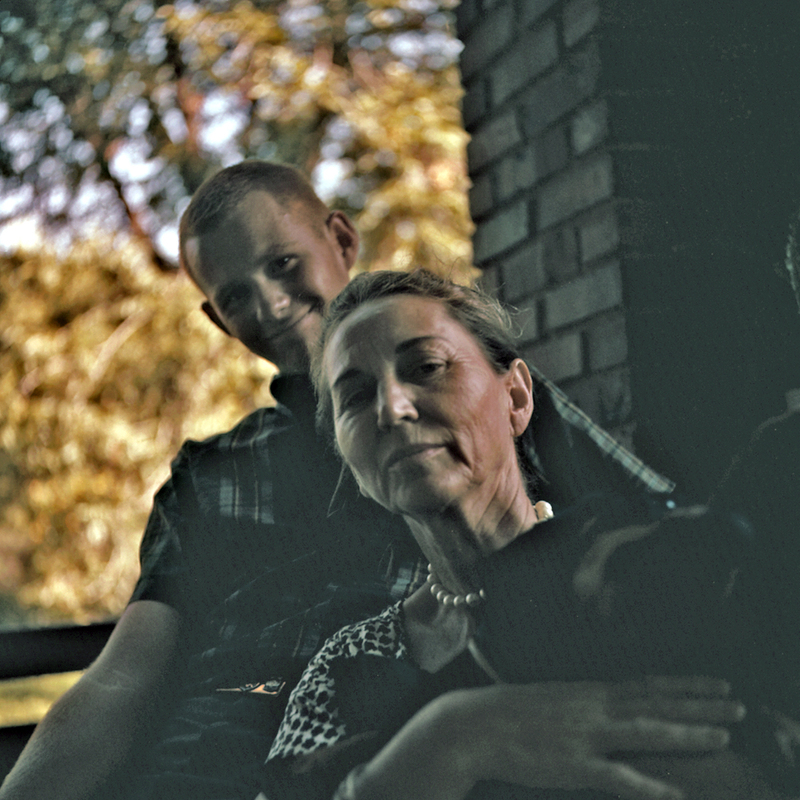 The photograph I took in 1958 on the Aycocks’ porch at 2517 Ryan Place Drive in Fort Worth. William Pannill. Tenie Ford told us the same story about the woman at the ball. I recall that she said the woman’s ears were infected. Aunt Tenie Ford was Judge William Pannill’s younger sister and Hoolie’s aunt (Adeline Pannill Aycock). Bettina is Tenie Ford’s grand-daughter. Sounds like confirmation to me.